Joining the Azym.com affiliate program allows you to earn commission when you refer a customer to Azym.com. It is FREE to join. For example, you can display one of our banner ads on your website, where your visitors will see it. You will earn a commission on every sale made through that banner. Also you can refer your friends who is looking for a website or any other products that we are providing. Anyone can be an affiliate. The Azym Affiliate program is easy, flexible, and completely free. Join as an Azym affiliate via our affiliate Signup). We have over 50 banners & text links that you can add to your website. It’s very easy to do – just copy & paste the code we provide into your website, blog, etc. If somebody clicks on your affiliate banner/link and makes a purchase on Azym.com, then you will earn commission. It is a form of marketing where a business (Merchant) rewards an affiliate for each customer referred to them as a result of the individual affiliates marketing efforts. 2. What is an affiliate? 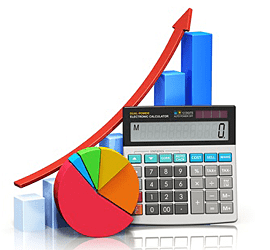 Generally, a website owner who promotes a Merchant’s (e.g. 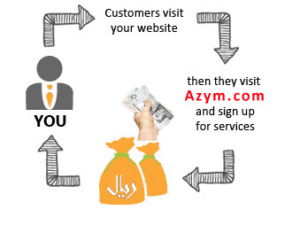 Azym.com) products or services (e.g. domain names, cloud web hosting, etc) in return for a commission payment once a sale has been generated. Examples include discount voucher sites or price comparisons sites, etc. 3. Are there any costs to be an affiliate? No, it is absolutely free to join the Azym affiliate program and you can be up and running in just a few minutes. 4. Do I have to be a Azym customer to be an affiliate? There is no requirement for you to purchase any product or service from Azym in order to participate in our affiliate program. While we would welcome the opportunity to host your website or register your domain there are no obligations and you can freely promote our service via your website wherever it may be hosted. 5. How often are commissions paid? We pay commissions monthly, at the end of each month. For example you will receive commissions earned for sales made in May at the end of June. 6. How are commissions paid? Our standard commission payment method is via PayPal, however other options such as bank transfer may be available upon request. 7. Do I need a website to join the Azym Affiliate Program? No, you may promote our services via your websites, blog, email marketing, social media pages ie; Facebook, Twitter, Pinterest etc or offline methods such as word of mouth. 8. Can I refer friends and family? Certainly, there are no restrictions against referring friends and family who may require domain name registration or cloud web hosting services.